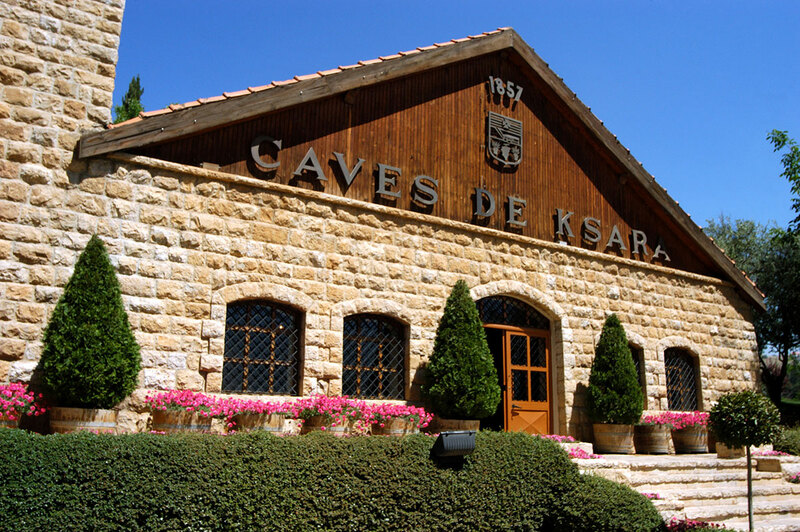 Château Ksara is the largest and most successful wine company in Lebanon. In the Bekaa Valley it produces a range of internationally appealing wines that are exported all over the world. Château Ksara is the oldest and largest winery in Lebanon. It was founded in 1857 by Jesuits. In 1972 the Catholic church sold the winery. Since then, a lot has been modernized. Nowadays, Château Ksara makes contemporary wines from mainly French grape varieties. They are sold all over the world. The vineyards of Château Ksara lie in the Bekaa Valley. The name of the Château refers to a fort from the time of the crusaders. The Jesuits gave it this name when they planted their first (Cinsault) grapes in 1857. To this day, Cinsault is of the most important grape varieties of the house and of the country. The monks not only provided good vineyards on a soil of lime, red clay and slate. They also restored a two-kilometer-long Roman cellar - which they discovered by chance under the château. In 1972, Château Ksara was sold to four Lebanese families. They have thoroughly modernized the winery. Nowadays, Château Ksara has about 350 hectares of vineyards, so ideal for viticulture that Château Ksara does not have to use herbicides. A large number of internationally known grape varieties have been planted. The most important blue ones are Carignan, Grenache, Mourvèdre, Shiraz, Merlot, Cabernet Sauvignon, Cabernet Franc, Tempranillo and Petit Verdot. White is mainly made of Ugni Blanc, Sauvignon Blanc, Muscat, Sémillon and Chardonnay. Since recently they make a white varietal wine from the indigenous variety Merwah.